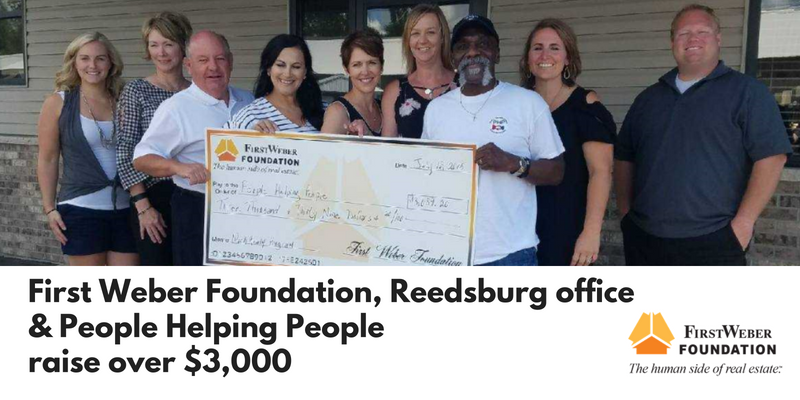 The First Weber Foundation along with the First Weber Reedsburg office and People Helping People are proud to announce that their 4th Annual Brat Fry, held on June 14, 2018 to support the Work Ready Program, was a great success! With the support from everyone in our community, the Brat Fry raised $1519.60 in total sales. The First Weber Foundation will match those funds for a grand total of $3039.20. Thanks again for all of your support!! See more about the First Weber Foundation The First Weber Foundation donates to eligible 501(c)3 organizations that benefit communities statewide.